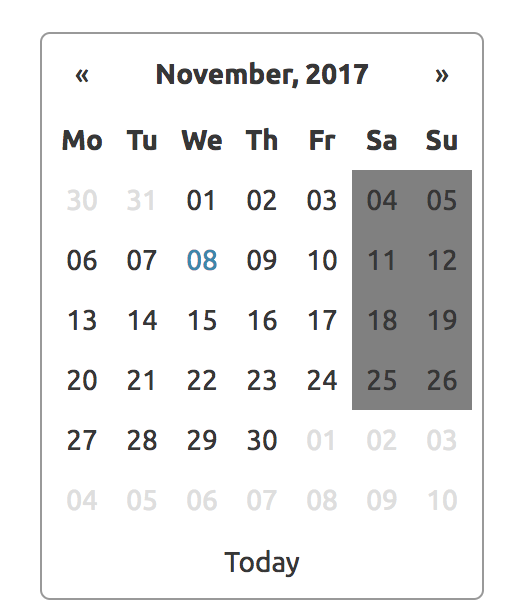 I am working on a project that requires an inline smart datepicker. So in this post I will show the process of selecting a decent plugin / tool. It is always good to write the checklist of requirements down. Keep it as small as possible, so you are not distracted by the nice-to-have. Now it is just a task of going through the demos and documentation and seeing if the datepickers meet the criteria above. Zobuto Datepicker – Meets all the requirements. Has a legend of colours on the chart for more specific info. 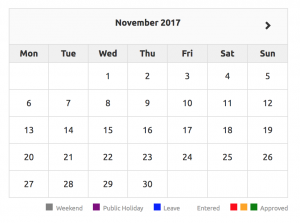 Has modal popups which is useful for public holidays and leave days for example. 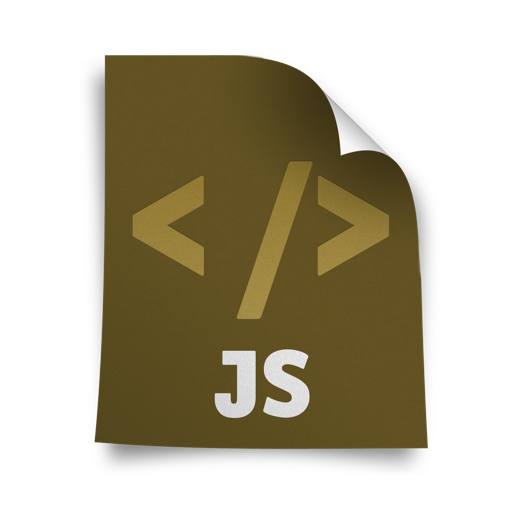 glDatepicker – Meets all requirements. 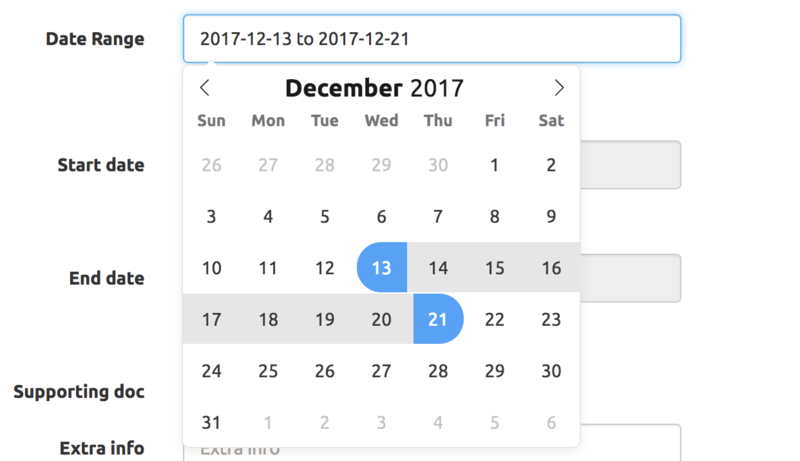 Air Datepicker – Meets all requirements. Supports custom cell content and events. 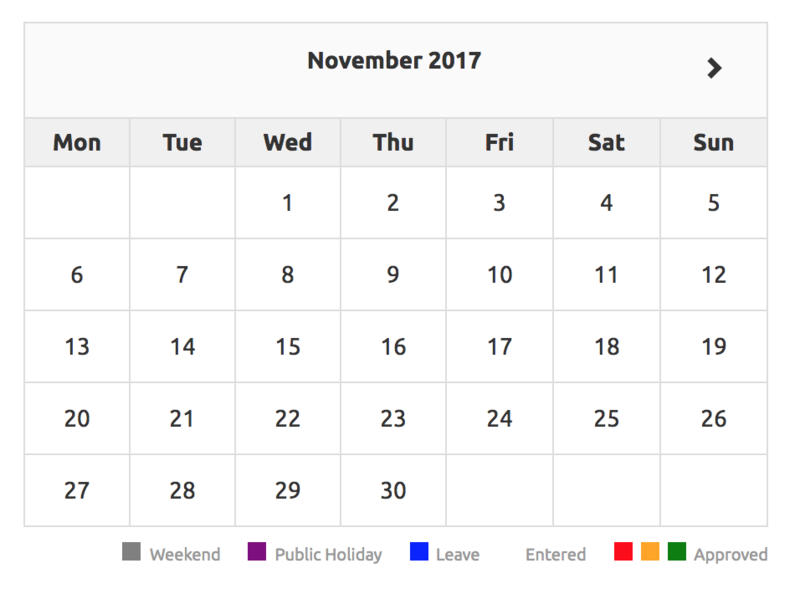 Datepicker – has muted class which can act as public holiday, weekends and leave days. It does have events on clicking a date like most do. Does not fully meet styling requirements. Now that you have a shortlist take some time reading through the docs and start playing with the libraries. It is time to choose the extension or plugin with the best docs and the best in your opinion. I liked zobuto because it worked with and needed resources already in my project bootstrap and jquery. 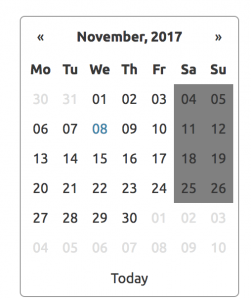 The problem is that it is not an input element…so you have to ensure a date is initialised and linked to an input element in a form. Also initializing the date becomes a bit tricky and it not something I want to explicitly handle. Also weekends can only be coloured with the data attribute. Otherwise it works really well. So I have added it to the project in another branch and want to try some of the others out. It also looks a lot better than some of the others. Is limited to the bootstrap style and can’t really display richer information. You can add styling to weekends and it works more like an input but feels a bit more limited. Doesn’t work well with bootstrap. In my case I avoided the fancies and kept with jquery-ui-datepicker.